The American health insurer Centene has agreed to acquire competitor WellCare Health Plans Inc. for $17.3bn, creating one of America’s largest managed care groups, providing government-sponsored healthcare plans for 22m people across the 50 states. The cash and stock transaction, for which Barclays has already committed $8.35bn in funding, values WellCare’s stock at $305.29, a 32% premium on the company’s closing price on March 26. Centene, the biggest player in Medicaid managed care, is substantially strengthening its lead through WellCare’s acquisition, while also expanding in the Medicare Advantage sector. Founded in 1984 as Family Hospital Physician Associates and renamed Centene Corporation in 1997, with HQ in St. Louis, Missouri, Centene has become one of the largest US managed healthcare enterprises, with its main focus on low-income, uninsured individuals, through both government sponsored and commercial programs. The company operates through two main segments: Managed Care and Specialty Services. In terms of Managed Care, Centene provides Medicaid and Medicare Managed Care and has grown into the largest Organization in the United States, serving more than 8.3 million low-income members and more than 400.000 Medicare beneficiaries that come from the low-income elderly population. The company is also a key player in the Health Insurance Marketplace, counting 1.5 million members covered by its Ambetter program, in compliance with the Affordable Care Act, also known as Obamacare. Centene is, in fact, able to provide affordable insurance for low-income individuals and families that, for different reasons, may not qualify for Medicaid or government coverage. It is also the biggest provider of managed care services for military members and veterans, through its Federal Services division and provides coverage in correctional healthcare through the national provider Centurion. Specialty Services, on the other hand, comprises Centene’s specialty Healthcare Enterprises, counting LifeShare, CMG, Casenet, Interpreta and USMM, offering coverage services to state programs, different commercial organizations and employer groups. In terms of geographical scale, the company has established a very strong presence in the United States, and it has expanded oversees with a joint venture in Spain’s Ribera Salud, a health management group and continuous partnerships with health and social commissioners in the UK, in compliance with NHS. As of revenues for its FY2018, Centene recorded $60.12bn, scoring a 24.25% increase YoY with last FY’s revenues of $48.38bn. Managed Care services accounted for 95.15% of the total. The outstanding dependence on this line of business has increased since 2014, when Obamacare came into effect at large scales, enlarging government sponsored programs managed. As a result, Centene saw its share price surge by 272%. The same Affordable Care Act has caused a recent surge in price volatility, due to the well-known opposition of the Trump administration and a recent opposition of the Department of Justice that stressed its unconstitutionality, making Obamacare very vulnerable and prone to a possible overturn. This kind of scenario would ultimately affect Centene’s revenues, even though expectations for future revenues do not seem to show high levels of probability of a legal strike down, as revenues are expected to increase to $70.89bn in the next FY and $83.02bn in three FYs. The company announced a net income of $900m in 2018, compared to $828m in 2017. Lastly, diluted EPS increased to $2.95 from $2.19, in 2017. The company currently pays no dividends. The company, founded in 1985 and headquartered in Tampa, Florida, is primarily focused on providing government-sponsored managed care services to families, children, seniors and individuals with medical needs. It serves approximately 5.5 million members in the United States. The company’s plans mainly include coverage for low-income families with children, low-income aged, blind or disabled people, and individuals with chronic illnesses who are in need of long-term care services. The Medicaid services it offers are tailored to each state and county, being designed to serve specifically its target communities, and provide access to a spectrum of medical benefits from primary care and preventive programs to full hospitalization and long-term care. In FY2018 WellCare Health Plans Inc. total revenues reached $20.41bn, marking a 20% increase on the $17bn recorded in the previous year. In 2018 the company reported a net income of $439.8m, compared to $373.7m in 2017. Over the last year, a record $181bn has been spent on healthcare deals, with a series of mergers that involved drug makers, healthcare insurers and pharmacies, in a wave of consolidation in order to reduce the costs of care. Overall though, the total number of transactions has reduced by around 30%, mainly due to the fact that the industry has been characterized by large transactions, such as Bristol-Myers Squibb’s $90bn acquisition of Celgene, the $21bn sale of General Electric’s BioPharma divison to rival Danaher and Eli Lilly’s $8bn takeover of cancer treatment specialist Loxo Oncology. Despite the positive trend over the last year, M&A deals in the health insurance industry have been affected by regulatory concerns on competition. In 2017 the $34bn acquisition of the American health insurer Humana by the bigger competitor Aetna was blocked, while the latter was also forced to pay a $1bn breakup fee. Similarly, the $48.9bn acquisition of Anthem by health insurer Cigna, announced in 2015, imploded two years later over antitrust concerns, with Cigna’s breakup fee amounting to $1.85bn. Later in 2018, Cigna acquired Express Scripts, the last major standalone pharmacy benefit manager, following a trend of vertical integration of the pharmaceutical supply chain. Furthermore, in November 2018 Aetna was acquired by CVS Health for around $70bn, combining CVS’ pharmacies with Aetna insurance business. Given the risk of increasing healthcare costs for consumers, these consolidation trends have worsened how such deals are seen by regulators, becoming one of the main factors of uncertainty for future deals in the industry. Private healthcare insurers global revenues are projected to increase from $1.5 trillion to $2.6 trillion in 2025, due to an aging global population, a greater diffusion of chronic diseases and an increase in disposable income in emerging countries. Furthermore, incumbents in the health insurance industry should pay particular attention to how a set of disruptive factors will affect the business, such as the increasing diffusion of chronic diseases over random or sporadic health issues, completely changing the kind of risk that plans would cover. Additionally, technological progress could allow for greater efficiency through advanced data analytics and a digitization of many procedures, also giving room to a progress in terms of customization of the care delivery. All these factors make the traditional concept of health insurance obsolete, increasing the risk of competition from new disruptive entrants. The acquisition terms establish that WellCare shareholders receive 3.38 share exchange ratio and $120 in cash for each WellCare share possessed. Based on March 26th, 2019 Centene’s stock price, each share of WellCare is valued at $305.39, a premium of 21.0% on a 30-day VWAP and a specific premium of 32.1% on the closing price on March 26th, 2019. 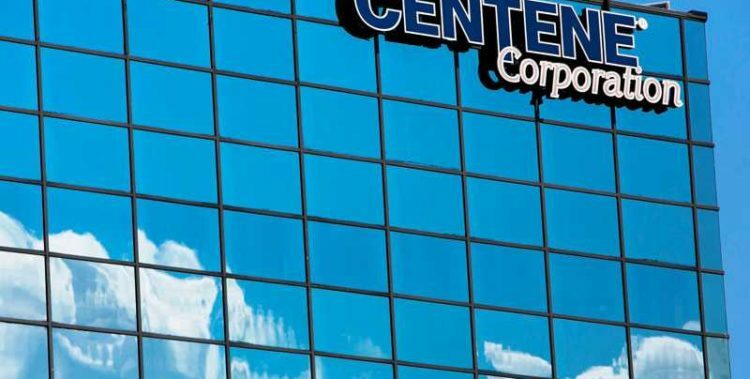 After full completion, Centene’s shareholders will own 71% of the entity and WellCare shareholders will own approximately 29% of it. Centene aims at financing the cash portion of the acquisition through a $8.35bn financing commitment from Barclays, leading its debt-to-capital ratio to 40%. Debt-to-capital levels are expected to return to the target of 30% within 12-18 moths after the close, thanks to the company’s strong earnings and cash flows. The transaction is expected to be completed in the first half of 2020, as it is subject to shareholders approval and state regulatory approval. In terms of organization and management of the combined entity, the board of directors will be formed by 9 members of Centene and 2 members from WellCare. The HQ will be St. Louis, Missouri, the actual HQ of Centene. Michael Neidorff, Centene’s current CEO and Chairman, will lead the combined company. The deal can be considered one of many previous strategic moves of Centene, as the company has continuously enlarged itself through acquisitions of different healthcare plans located across the United States, creating more and more coverage options for an increasing number of people. It comes as a logical response to the trend of consolidation that is involving the entire healthcare sector, going from drug makers to pharmacies and insurers. It inevitably put pressure on managed care groups to consolidate in order to improve bargaining power and better negotiate to reduce costs of care. The high-quality profile of WellCare in Medicare and Medicaid plans is expected to strengthen the existing position of Centene in these two government sponsored options and diversify its portfolio of solutions away from those revolving around the ACA, which is a reasonable move as the majority of Centene’s revenues come from its Managed Care division that includes a significant weight of 40% of total revenues on the vulnerable Obamacare. Lastly, the transaction would create a combined entity that would be one of the largest managed care groups, with 22 million people covered across a geographical scale of 50 states and 31 NCQA accredited health plans. Expanded product and geographical scale is what is expected to determine net annual cost synergies of $500m immediately after closure. The deal would also allow optimization of IT systems, capabilities and process management and an accretion of diluted EPS by year two. Traders showed uncertainty and doubts on the effective closure of the deal, referring to the 2017 mergers of insurers Aetna Inc. and Cigna Corp. and Anthem Inc. with Human Inc., blocked by courts. The market also considered the fact that effectiveness of transaction will be reached during the first half of 2020, meaning too much transition time. Signs of uncertainty were reflected by the stock prices of both Centene and WellCare on Wednesday March 27th, as WellCare’s price went up by 12.3% but approximately $45 below the $305.39 valuation offered by Centene, at $259.81, showing how traders weighted the possibility of a failed deal. The same reasons determined a decline of 5% of the share price of Centene, going to $52.12. Centene has been financially advised by Allen & Company LLC, Barclays, Evercore and J.P. Morgan Securities LLC. WellCare has received financial advice from Goldman Sachs.